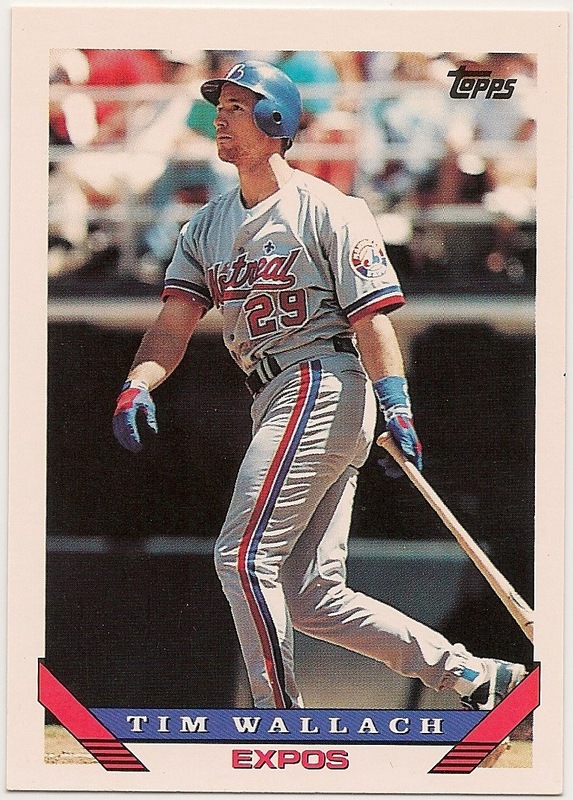 Card Review: 9.3 I've always liked the 1993 Topps design. It's all the unecessary variations that I don't like. The gold variants are particularly unflattering given this card's design. 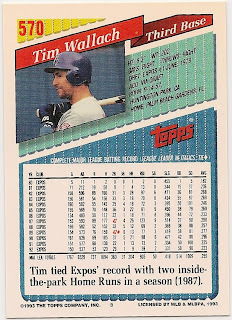 1993 marks a major line of demarcation in the Topps set, as it was a huge departure from anything they'd done previously. I can accept the changes Topps made for the '93 and '94 sets, it's where they went from there that still disappoints me. 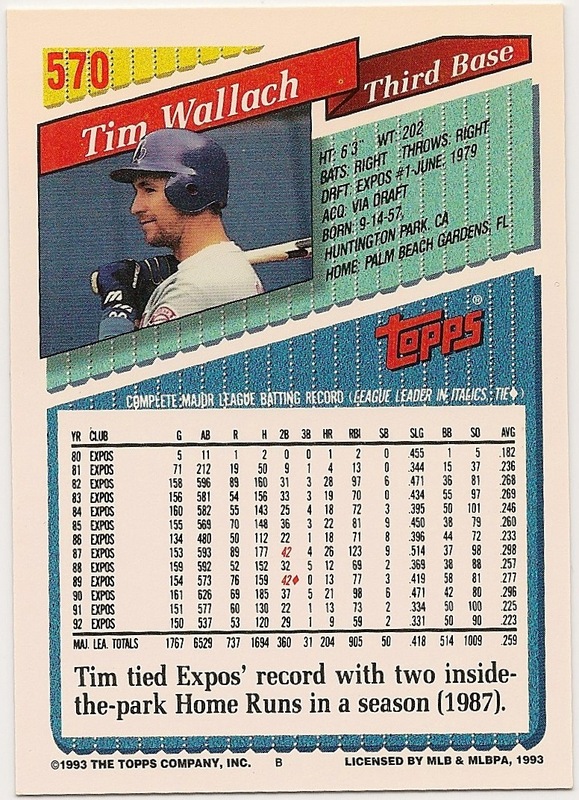 In '95 they added the foil stamping and the cards became extremely glossy. 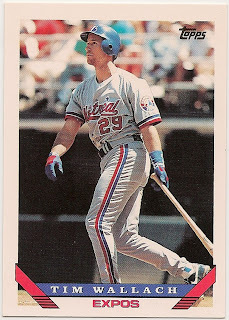 I think the two year window from '93-94 represents a reasonable compromise between the classic and modern cards, assuming of course, they still came with gum.